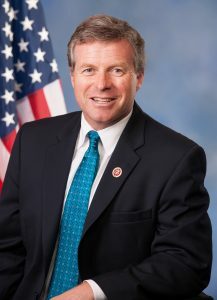 Congressman Charlie Dent (R-Lehigh) is making moderate Republicans in the Tuesday Group a force in the U.S. House of Representatives using tactics that have usually been associated with the Tea Party. In a Politico Magazine profile of him, Dent talked about how the Tuesday Group is balancing the moves of the conservative Freedom Caucus. The moderates, who are traditionally seen as almost too polite in their efforts to pass bills have been throwing wrenches into the plans of the Freedom Caucus, most notably the efforts to replace the Affordable Care Act (ACA). “That was a very important moment for the Tuesday Group and for Dent. They suddenly recognized, in this new political reality in Trump’s Washington, that they are suddenly a significant force, perhaps as much as the Freedom Caucus,” Muhlenberg College professor Chris Borick told Politico Magazine. Dent has become one of the strongest voices of criticism for the Trump Administration within the Republican Party, but may be trying to push Trump more to the center. Dent has also been pushing the Republican Leadership to stop relying on moderates to push controversial bills over the line. Dent and Tuesday Group leaders forced the leadership to put an end to a movement to place an amendment banning transgender troops from serving in the defense authorization bill using a procedural loophole. According to Politico, Dent and Congresswoman Elise Stefanik (R-New York) told leaders they would sink the entire bill if they used that tactic. If the GOP was serious about taking out wolf or Casey, they would be all over Charlie dent. I bet trump would kick in also, just to get him out of the House. Charlie Dent has been a statesman as a State Representative, State Senator and now as a Congressman. Charlie Dent has been a two faced career politician as a State Representative, State Senator and now as a Congressman. There fixed it. Clever. I bet you read books and stuff. The “moderates” have always had control; it is the advent of the Tea Party Movement [a.k.a. TRUE “conservatives”] that has prompted them to reassert effort to dominate. You mean the New Knights of the KKK, don’t you? The time has come for conservatives to create their own political party, a genuine Conservative Party for true conservatives; instead of trying to hijack the Republican Party. Lol this won’t last long. A very respected local official will be announcing his candidacy against Dent soon in the republican primary. Big money from D.C. and locally will be behind him. Charlie is done in a republican primary. I won’t. E surprised if he makes a deal to switch parties. Woah Big Willy over here with the insider information. I’m sure your mom is proud. If you think Dent is going to lose a primary in that district, you’re as dumb as I think you are. He is susceptible to a strong Dem challenger that can raise money and awaken the Dem base there, that is for sure, but a Primary? I suggest you leave the room after you’re done painting, the fumes seem to be getting to you. I’d love to know who that might be — ASAP. I’ll work for him/her. Dent isn’t vulnerable in a general election, because, the Democrats in the vote-heavy Lehigh Valley end of the district know he’s one of them. It will take a viable, well-financed, conservative primary opponent to get rid of the pant load. Spot on. But it will be a tough fight. Arlen Dent will smile and pretend to be a nice guy while his henchman smears and lies about his opponent. Remember Joe Pascuzzo? He’s also sitting on $1 million.